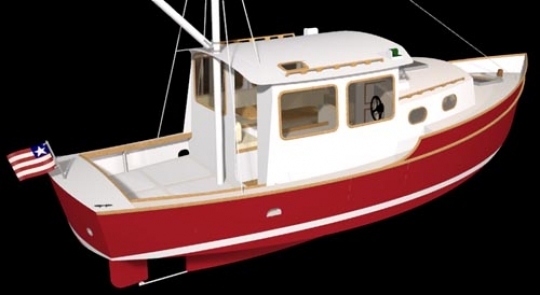 Our Trawler 28 is a sturdy offshore trawler with a straight inboard diesel. 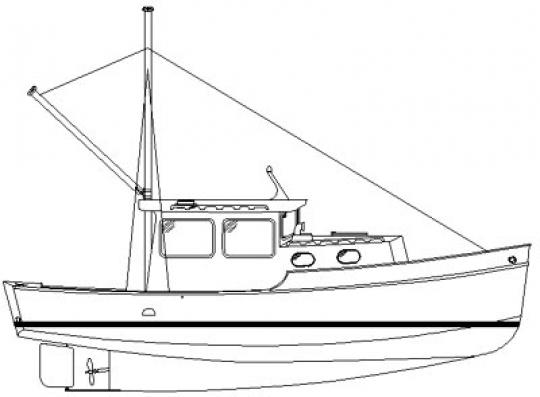 The hull is a typical displacement hull, trawler type. This means a relatively wide beam for her length. Her optional mast with steadying sail will ease the motion in a beam or following sea. Rigged with a jib, it enables her to reach a downwind port in the event of engine trouble. The boom can be used as a dinghy hoist with the tender stowed on the roof during long passages. This plan has been built around the world in countries such as Australia and Turkey, where there is a small fleet!